We all remember when, way back in 1986, Prince Andrew became the Duke of York on his marriage to Sarah Ferguson. When his two daughters, Beatrice and Eugenie, were born in 1988 and 1990, they were the only of the Queen’s grandchildren to carry the title of Princess – her gift to her favourite son. Their father – and many of the rest of us – imagined that a lifetime of royal duties awaited the girls. But the modern world intervened, and the girls – neither of whom receive any public funds – were obliged to find employment while still shouldering the responsibilities of being royal. While still young, the girls were also faced with that most modern issue – divorced parents. Andrew was a lieutenant in the Royal Navy, and his duties meant that for much of their early married life, the Duke and Duchess of York were apart. Left on her own at the mercy of the Palace hierarchy, who gave her little help, Fergie crashed from one blunder to another. By February 1992, Fergie had had enough. She took the decision that it would be better if she and Andrew were to separate. They went to see the Queen at Sandringham. The Monarch was horrified and begged Fergie to reconsider. But the Duchess was resolute. She explained to Her Majesty that she wasn’t really leaving Andrew – she was leaving “the Firm”. The troubles that beset her mother during her formative years had an effect on the sensitive Beatrice. She felt very protective of her mother and they still stand shoulder to shoulder if one of them gets criticised. Eugenie, two years younger, is more robust and escaped much of the mental anguish her sister suffered. But because of their shared dramas and problems, the three of them really are the best of friends – truly modern mothers and daughters. All three have faced public trolling that would finish many of us off. They deal with the criticism of their clothes, their weight and their constant holidays by sticking together. When Princess Beatrice wore the now infamous pretzel-style hat to the wedding of Prince William and Catherine Middleton, she was slammed for her bad taste. Instead of crying over it she showed great panache, auctioning the hat on eBay and raising £81,000 for UNICEF and Children in Crisis. But having her appearance demolished in public hurt. Fergie, always protective of her girls, told me how hurt and angry she was that the press should always pick on them. While Fergie has often been ridiculed, Princess Beatrice and Princess Eugenie are both very proud of their mother, who has worked hard to make money to get herself out of debt. They consider her the epitome of a modern, independent woman. A published author, speaker and TV host, she also runs three companies while doing her bit for various charities including the one she set up herself, Children in Crisis. With her own Twitter and Instagram accounts, she is not afraid to tweet how proud she is of the Duke of York and their children, and add a bit of her personal philosophy as well. “I always say that the river flows well to its destiny because of the guidance of a solid rock,” she tweeted recently. The family live between Royal Lodgen Windsor Great Park, where Fergie has her own separate quarters thanks to her former husband’s generosity; a palatial chalet in Verbier and the girls’ flat in St James’s Palace. 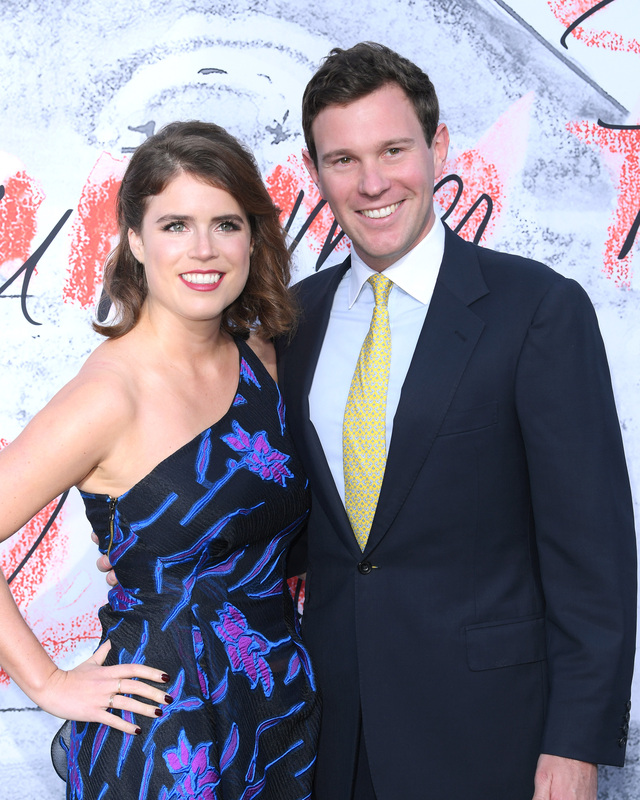 Now Eugenie is engaged to 29-year-old drinks entrepreneur Jack Brooksbank, she has been granted the use of Ivy Cottage, a three-bedroom house in the Kensington Palace complex near to The Duke and Duchess of Sussex’s London residence, Nottingham Cottage. Jack is obviously a romantic as he proposed to Eugenie on one knee by the side of a lake in Nicaragua last New Year’s Eve. Meanwhile Beatrice’s recent split from her boyfriend of 10 years, Dave Clark, who worked for Richard Branson before becoming head of external affairs for the New York-based uber network, means she is free to do what she wants – including helping Eugenie prepare for her 12 october wedding to Jack at St George’s Chapel, Windsor. It is a long way from the times when they were moving from one rented house to another – and although the Queen ensured that the girls benefited from their mother’s divorce settlement, they have jobs. Prince Andrew is sensitive about his daughters being labelled as party girls, and although they have a small private income from their parents’ divorce settlement, they need to work and, more importantly, be seen to work. Princess Beatrice set up her own foundation, Big Change, with pals including Holly Branson (daughter of Richard) and works for Afiniti, a global company specialising in artificial intelligence, where her official job title is Vice President of Partnerships and Strategy – a job that utilises her many contacts. Since 2015 when she moved back from New York, Eugenie has been working as an associate director of art gallery Hauser & Wirth, who have London offices in Savile Row. So, 29-year-old Princess Beatrice and Princess Eugenie, 28, appear to have overcome their early traumas and carved substantial lives for themselves. The British public are far more sympathetic towards them now they realise their lives are not as glamorous as they once looked; it’s also recognised that most children of divorced parents have issues – probably more so when the break-up is so public. But decades on from the drama of divorce, the future for this very modern, very human family looks positive as they put their troubles behind them. Beatrice and Eugenie appear to have found the right balance between being royal and being working women. Wellwishing friends hope that Princess Beatrice will meet the right person and settle down, Eugenie will start a family and continue her career and Fergie will find a new place in the public’s affections, reinvent herself as the dutiful mother and perhaps even wife. To Andrew she is still his wife, albeit ex-wife, and as the mother of his children he will always remain loyal to her. Many women would be envious of their situation.